← Investec World League Final: England 0-3 Australia. The Top of the D Meets: Lily Owsley. If you speak to most sports fans, their childhood dream is to represent their country. 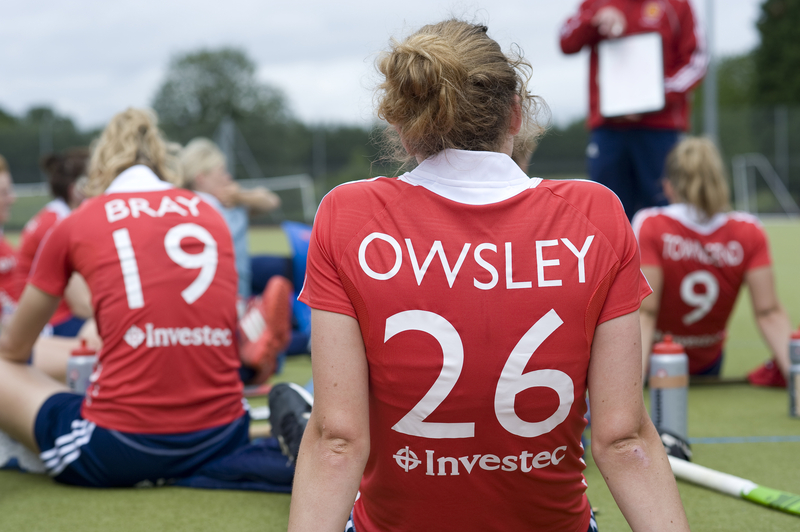 Having made her debut against South Africa in the Investec World League, Lily Owsley is already living that dream. I caught up with the 18-year-old forward after the opening games of the Investec World League to find out how she’s taken to being an international athlete and how she’s fitting in with her new team mates. The Top of the D: How did it feel making your debut in front of a big home crowd? Lily Owsley: It was amazing. You can’t really ask for more, getting your first cap, winning and doing it in front of a home crowd. It was brilliant. The Top of the D: Were you nervous, or just focused on doing what Jason Lee had instructed you to do? Lily Owsley: A bit of both really. I can’t pretend I wasn’t terrified, because I was. It’s my first senior tournament, so I didn’t know what to expect. Once I got out there, the crowd was so supportive which really helped. I was trying to be focussed and concentrate on helping the team rather than myself. The Top of the D: Were you happy with your performance? Lily Owsley: It was definitely a shock to the system. I’d like to think I contributed, but I have so much more to work on and I need to keep improving. I’m nowhere near the level I need to be performing at. The Top of the D: How do you feel the team has done in the opening two games? Lily Owsley: South Africa was hard because we weren’t sure what to expect. Ultimately, in a tournament, you need to win games so we have to be happy with how that went. Australia are always hard to play against. They’re strong and quite physical and it can be frustrating against them, but 1-1 is a good result against a team we’d lost to in the build-up to the tournament. The Top of the D: How’re you settling into the squad? Lily Owsley: There’s such a good team dynamic. The senior players are so supportive and everyone gels together really easily. I’m really enjoying it. 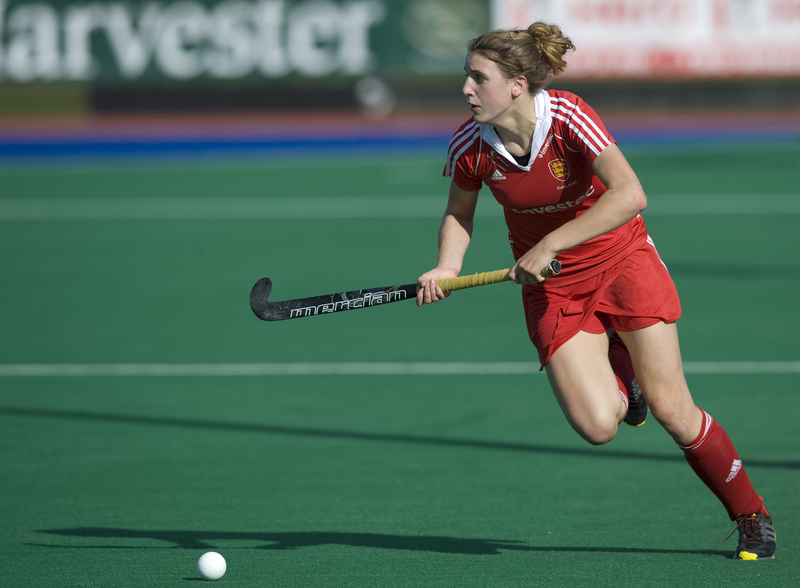 The Top of the D: How hard has it been juggling your A-Levels with being an international hockey player? Lily Owsley: I don’t want to say it went well until I get the results! It was a really intense period. When I wasn’t playing hockey I was studying and vice versa, so there wasn’t much time to relax. There were a few times when I got home from a long day’s training, exhausted, knowing I had an exam the next day and I had to knuckle down. I did the best I could under the circumstances. The Top of the D: There are quite a few intelligent girls in the squad, so did anyone help you with your revision? Lily Owsley: I have Susie Gilbert to credit for my biology A-level. She was my tutor when we were in Germany. One of the questions she taught me came up in the exam, so hopefully I nailed that section! The Top of the D: How did your family react to your inclusion in the squad? 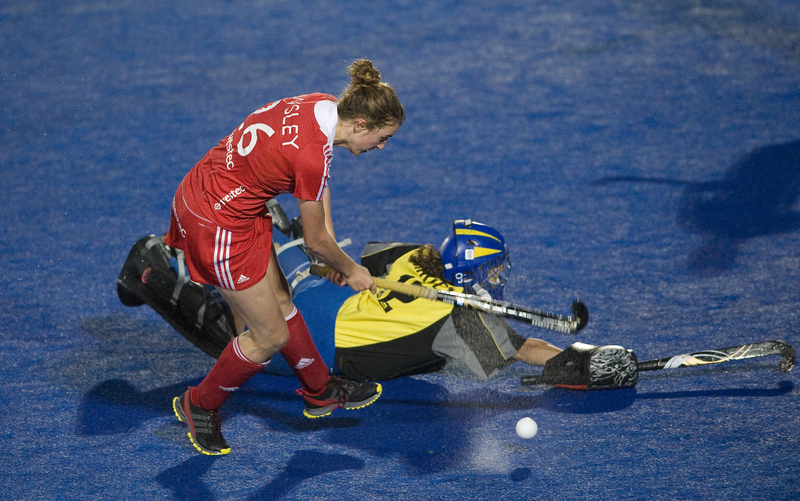 Lily Owsley: I’ve got such a good support base at home, so they were really pleased. My parents were worried about my exams, but that’s what parents do! They’ve given me all the help I need, like lending me their car for the travel and helping me with my schoolwork, I couldn’t have asked for more support. The Top of the D: Who has been the biggest influence on your hockey career so far? Lily Owsley: I’d probably say, my school coach, Tim Lang. He’s worked with me for five years as part of the school side but also individually as well. He’s a really good player himself so he’s been helping me with things I need to develop. My two best friends have been there the whole time, too; they come to watch, help me with my revision and help me to relax when I need a break. The Top of the D: What would you say your biggest asset as a player is? Lily Owsley: I’d probably say speed on the ball and eliminating players. Once I’ve developed into a better player I should be able to use those skills in the right areas to benefit the team. The Top of the D: How’re you finding Jason Lee as a coach? Lily Owsley: He’s a great coach. He’s new to the set-up which I think helps as it’s a clean slate for everyone. He’s going to be in my ear because there are a lot of things I need to improve on. I don’t have any hard feelings though; I think it’s fantastic to be pushed by such a great coach. The Top of the D: What would you like to achieve in hockey? Lily Owsley: I’d like to have a positive impact on the team, and play well regularly in the senior squad. Obviously the ultimate aim is to go to Rio. The Top of the D: There is a bit of an age gap between you and some of the squad. How does that go down in terms of, say, musical taste etc.? Lily Owsley: They never judge me or anything, it is quite funny sometimes because I don’t know the singers they are talking about, but everyone gets on so well it can be quite fun. I’m trying to get them to listen to more Eminem. The Top of the D: So you don’t have a problem with Alex Danson and listening to S Club 7? Lily Owsley: I was in the car with her the other day when she had it on; everyone loves a bit of S Club! I’ve seen them live, too so I can’t really say anything to Alex! Owsley has impressed on the pitch with her pace and exciting skills, however what is more impressive is her willingness to learn and improve. Playing alongside one of the best in Alex Danson can only help her to get better. Let’s hope she picks up more of Alex’s skills than tastes in music! The Top of the D would like to thank Lily Owsley for her time and patience in conducting this interview. Photos courtesy of Ady Kerry. This entry was posted in Features, Investec World League. Bookmark the permalink. 1 Response to The Top of the D Meets: Lily Owsley.